with Sabrina of Severn Wishes Blog. Happy Treat Box Day! 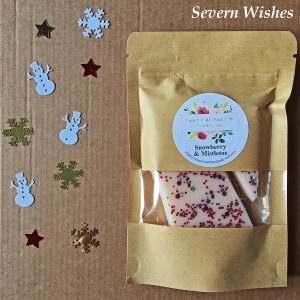 It’s the last Treatbox of 2018 and it’s the Christmas box! 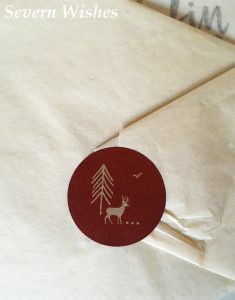 The little sticker is a stag on a winter scene with pale yellow tissue paper. 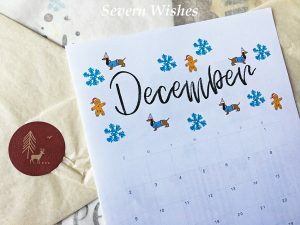 Without further ado, here are all of the contents of the December 2018 Treatbox. 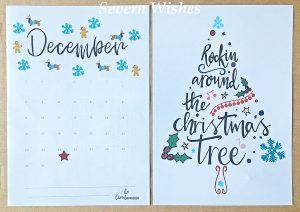 This month there are 4 physical items, plus 12 square card prints accompanied by 10 golden pegs with string, plus a Calendar Print and an A5 Print. Here is a selection of my photographs of this month’s box, I hope you enjoy seeing the items up close. My favourite pieces in this box have to be the Diary/Planner and the original cards. You can’t go wrong with chocolate and pamper products. I’m hoping to get some evenings to relax once the main Christmas days have been and gone, and enjoy what has been discovered in my box. 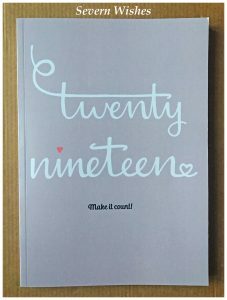 The 12 cards are very sweet and awesome for making a home Christmassy and bright. I appreciated that this box was delayed, however I was more than happy with the content, it was worth the extra few days wait. This Treatbox has certainly ended the year on a high, and I look forward to the January box. Then you can find Treatbox subscriptions and build your own box at their website. 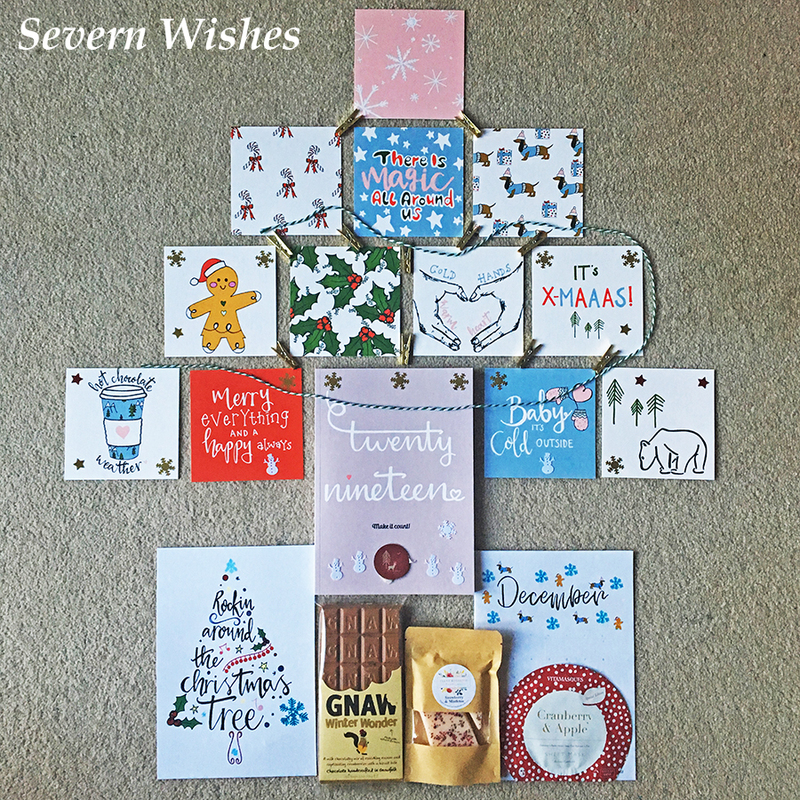 Check out my previous posts in this unique category of my website called ‘Treatbox’ especially for these box reviews and reveals – Severn Wishes Treatbox. 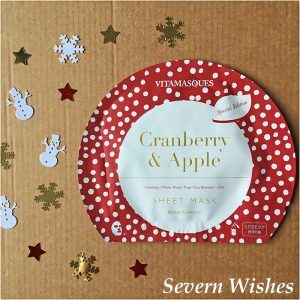 Thanks for reading this months box reveal today, if you have any thoughts of your own that you would like to share or if you have purchased a box after reading one of my reviews then I would love to hear your from you, why not leave me a little comment in the section below. Thanks for reading this Reveal and Review today. 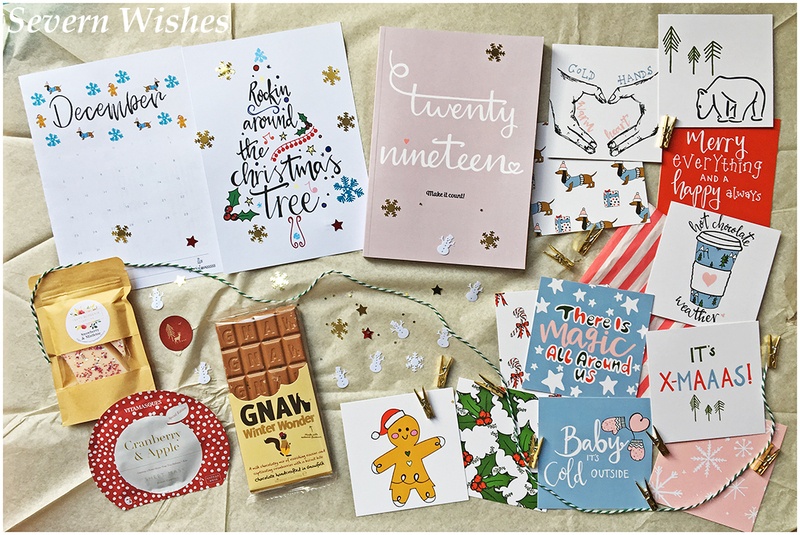 It’s been another whole year of Treatbox already, where did 2018 go?! I’m looking forward to all that 2019 will bring and also eagerly anticipating what will appear in the first boxes of the new year. 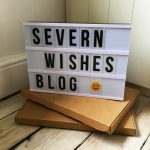 Thank you for joining me for my blog Reveals, hope to see you visit Severn Wishes again very soon. Have a very happy holiday! 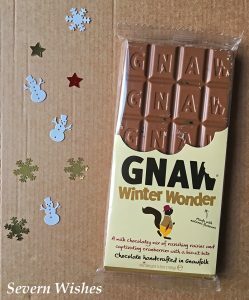 This entry was posted in Confectionery, Food & Drink, Gnaw Chocolate, Reveals, Reviews, Subscription Box, Treatbox, Unboxing, Vitamasques by Sabrina. Bookmark the permalink.